Each package is a set of 10 different bead inlay patterns for Huichol-style bowls. 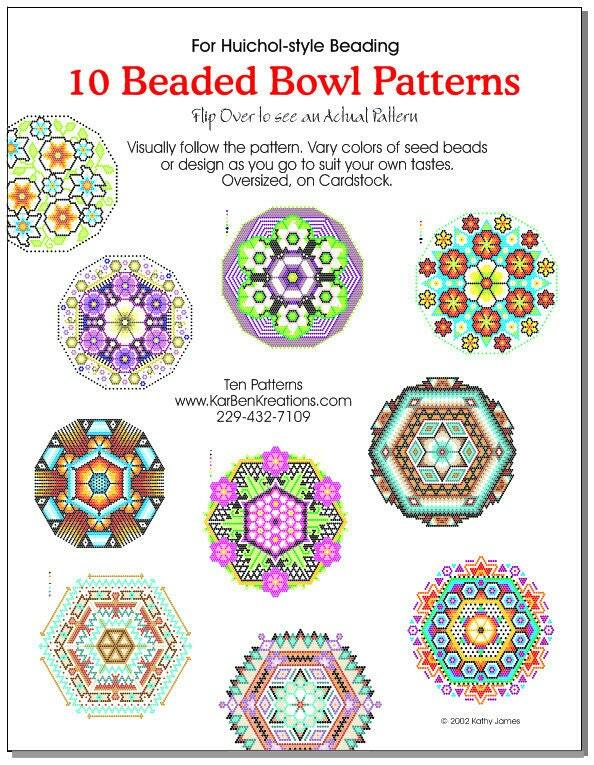 They are designed for 11/0 seed beads placed in Tackee Wax or other beading wax on a medium size gourd bowl. Designed around the classic hex pattern, easy to follow with your beads, they include color coding so you can vary the colors to suit your own style. Colorful, detailed layouts on heavy cardstock. Awesome! Just arrived. Love the patterns! Beautiful patterns! Faster than I expected! I love them!